Promoting the importance of self-reflection and the development of leadership skills as key aspects of veterinary professionals’ continuing education and providing the resources to help support such development. Ensuring that, as an organisation, the RCVS is an exemplar of leadership development and is fit to lead the professions. Highlighting the diverse range of leadership development opportunities for veterinary surgeons and veterinary nurses, the roles and positions these could lead to, and the impact they could have on the future of the professions. To learn more about RCVS Leadership and the work we will undertake to meet the initiatives aims, please take a look at the RCVS Leadership Three-Year Plan. On 13 November 2018, as part of our Leadership Initiative, we launched the Edward Jenner Veterinary Leadership Programme - a free-to-access MOOC (Massive Open Online Course) for veterinary surgeons and veterinary nurses. More information about the programme is available from its dedicated webpage. 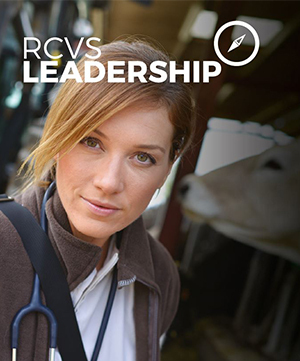 For more information on the RCVS Leadership Initiative and the Edward Jenner Veterinary Leadership Programme, please contact Anthony Roberts, Director of Leadership and Innovation at a.roberts@rcvs.org.uk.